I woke up and finished packing my bags. I went down to see who was up and catch Nikki and Tous because we were sharing a cab to the airport since we had the same flight to Abu Dhabi. They were having breakfast at the hotel. I had been eating the last of the food I had bought in the stores. I waited down stairs as they packed their bags. I saw a few more of our group and was able to say goodbye. Some people were staying for a few more days, I wished I could but I had to work the next day. Then it was in the taxi and off to the airport. The line for check in was ridiculous. We had been waiting about 20 minute with little movement and some guy trying to inch his way in front of us when Tous decided to go to the Business Class check in and see if her could purchase an upgrade. The plane was full but they guy was willing to check us in. So we skipped out of line and went to Business class where there was no one. Then we went toward security and Tous was stopped by a tour guide who had helped them arrange transportation when they had arrived in Egypt. He told us about the customs form and exit stamp we had to get. If we went through customs after security it would be a long line, but we could fill ours our and hand it in with his tour group saving us a lot of time. So we did. Then when we got to the room of lines we got to pass right through one of the side lines that is open for crew and VIPs. 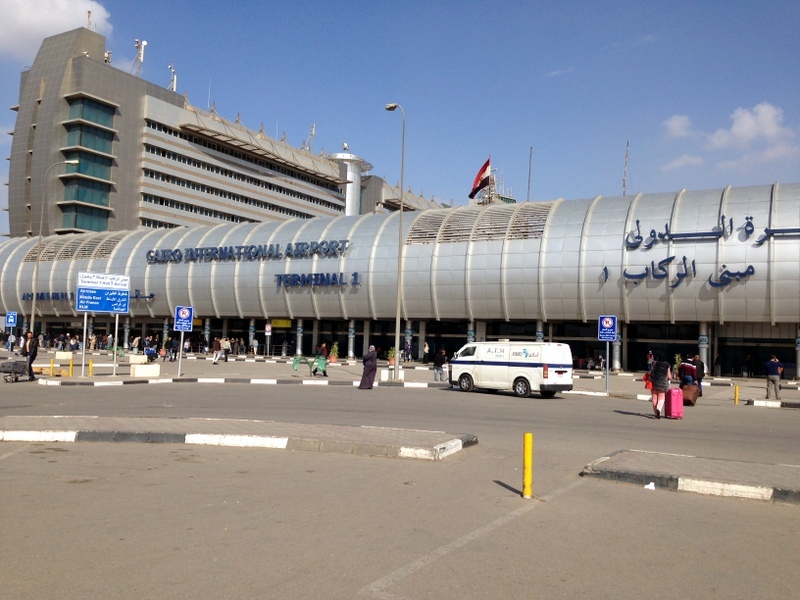 Over all we had an easy time of Cairo airport. If your not so lucky I recommend giving yourself the full 3 hours to get through check-in and security and customs. We had time to spare so we went and had lunch and then went to the bar and had a drink. For me it was going to be my last drink in a while because I was headed back to Kuwait where alcohol is illegal. 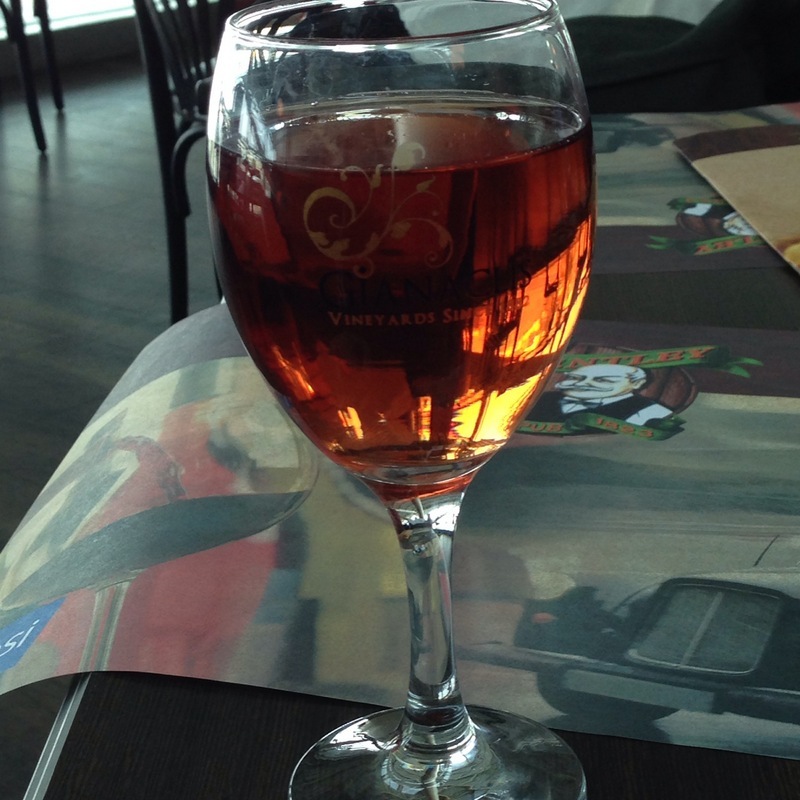 So I enjoyed a glass of wine and waited as we discovered our flight was going to be about and hour late. That sucked because I only had an hour and a half to make my connection to Kuwait. On the flight I was sat farther a head of Tous and Nikki, so I went back to visit a few times. Just before we had to take a seat for landing I went back and said goodbye because I was going to be pushing my way off the plane and running to make my connection. I have decided I have to go to Australia some day soon to visit with all the wonderful Aussies I met on the trip. When I got off my flight they were calling for Kuwait connections, so I knew I wasn’t the only one on the flight that had to hurry. We had a short line to get through security checks and we were off. I managed to be on e of the first people to make the transfer and get seated. I watch as about two dozen others made their way onto the flight. After we were all boarded it was back to Kuwait. I arrived home around 11pm. I was lucky to find that the building supervisor was down stair. He had the key for my new apartment that I had been moved into when I was away. I opened to the door to find all my stuff piled in the middle of the living room. In the bedroom the mattress wasn’t even on the frame. Not only that but when I got the mattress flipped right side up and on the frame I learned there were missing boards to go under the mattress on the frame. So I had to get the mattress off and fix the frame before I could go to sleep to wake up at 5am for work.